Men and women from all backgrounds have chosen an eyelid lift, a procedure also known as blepharoplasty. Patients have chosen this procedure to remove puffy pouches of fat in the upper or lower lids that make them look older and tired. Excessive sagging or wrinkled upper and lower eyelid skin often hides your natural upper eyelid crease and can sometimes interfere with vision. Look refreshed and see better with an eyelid lift. Dr. Kress performs this procedure on an outpatient basis. Patients are under sedation and local or general anesthesia. During the procedure, Dr. Kress makes incisions along the natural crease of the upper lids and below the lash line of the lower lids. Excess fat, muscle, and skin are precisely removed. A newer variation called “Arcus Marginalis release” preserves the lower eyelid fat but blends it into the cheek for a smoother look. In some patients this will prevent the “hollow” look which sometimes develops with later aging. All sutures are removed within 4 to 6 days. Minimal discomfort is easily controlled with ice compresses and elevation. Bruising and swelling, if present, usually resolve within 10 to 14 days. Eye makeup can be used after the sutures are removed, and contact lenses can be worn within ten to fourteen days. When you return to work (within 2 weeks) you will be the envy of your fellow employees. The scars are barely noticeable and everyone will assume that you are just back from a wonderfully relaxing vacation. The final result is a more relaxed, rested, alert and youthful appearance. I’ve seen ads for eyelid surgery using lasers rather than sharp instruments. Is this a better method? Although there are many excellent uses for lasers in surgery, incisions in the skin should not be made by a laser because the wounds will not heal as well as incisions made by a scalpel. 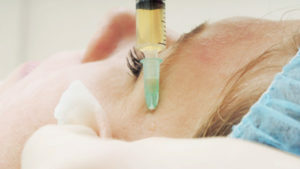 Are there newer eyelid procedures on the horizon? There is a lot of work being done in the area of redistributing the fat, particularly of the lower lid, rather than simply removing it. There are some thoughts that excess fat removal can lead to a hollowness beneath the eye. The most anatomical way of correcting this hollowness would be to redistribute the fat for a more natural look. Several procedures are currently being developed, and this is an area that deserves some consideration. If you have areas of hollowness of your face already, excess fat removal can lead to a skeletal look. This needs to be discussed with your Plastic Surgeon prior to surgery. 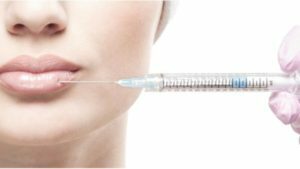 Can fat be injected into the eyelids to correct the hollowness? o. Because of the anatomy of the eyes (the eyelid skin is resting directly on the muscle with the fat buried underneath) it is inappropriate to attempt to inject any fat into the area. This procedure cannot be safely performed. 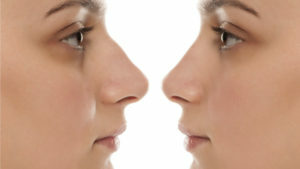 The area between the nose and the lower lid known as the “tear trough” does benefit from fat injections. Can liposuction be done to remove the excess fat of the lower lids? There are many delicate structures in the same compartment as the fat; therefore, I think this would be a very risky maneuver. In relation to the delicate eye area, a liposuction cannula is a very crude instrument. To place it into an area that contains all of the delicate muscles that position and move the eye, along with some critically important nerves and other structures, would be perilous. I’ve heard the eyes are the most important visual aspect. Is this true? Yes. Generally when you are meeting somebody for the first time, the first thing that you notice about their appearance is their eyes. There is a fairly characteristic pattern that has been studied when one person meets another for the first time. The first thing they do is look at the eyes and then gradually sweep over the rest of the face. Sometimes, however, when looking at the eyes, an opinion has already been formed upon noticing heaviness of the lids, premature aging, tiredness, fatigue, etc. Just think of all the adjectives used to describe human emotions that are directly reflected in the eyes, and imagine how important they are for your first impression. What other effects might I notice from the eyelid surgery? Most people are very impressed with how much brighter the world is. Because of the heaviness of the upper lids, they don’t fully realize how much of their field of vision has been lost over time. Also, many people have tension headaches related to drooping eyelids. To have adequate vision, it is sometimes necessary for an individual to keep tension in the forehead to elevate the brows and to take up the excess skin of the upper lids, thereby creating the headache. Once the surgery is performed and the extra skin is removed, the forehead is able to relax, the tension goes out of the forehead, and the headaches disappear.